When one thinks of the city of Oruro, one typically thinks one of two things: the carnival or the mining industry. This hardy, Andean city usually only receives foreigner visitors during its famous 8-day carnival that takes place every year. Aside from that, this Andean urban center is a very Bolivian city. What I mean by that is that it typically is not on the well-travelled touristic path as other Bolivian cities like La Paz, Uyuni, or Sucre. Oruro encompasses many strong Andean elements and is located at the edge of the Bolivian Altiplano at over 12,000 feet high in altitude. Its land and mountains, harsh and almost barren, have been exploited for centuries for its natural resources. 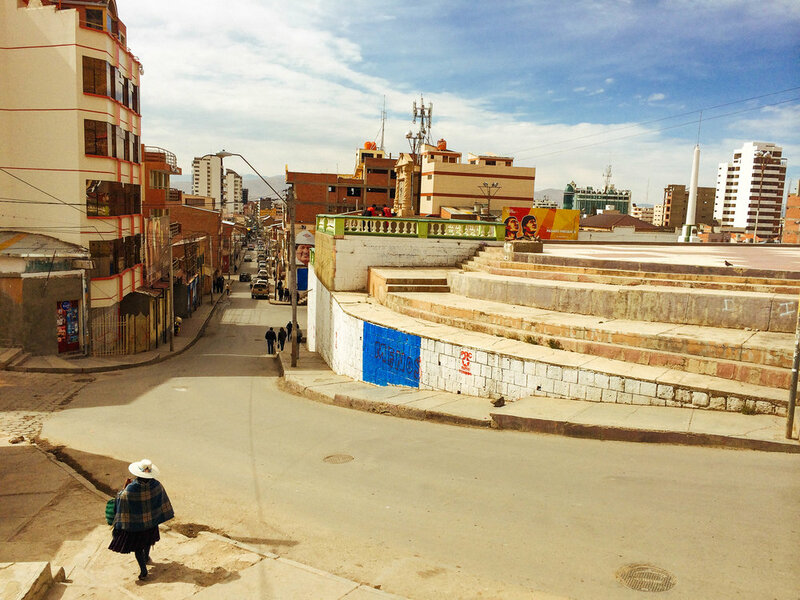 Mining has been the lifeblood for Oruro and has come at a cost when global demand is low. Also, the majority of its residents are of indigenous ethnic background and it is very evident in the local culture and cuisine. The city itself may not have much aesthetic beauty, but if you appreciate its history and hardiness, you will be able to value it much more. Lean on its local culture and flavor and you will not be disappointed. This is one of the few cities in Bolivia where the two dominant indigenous communities in the country intersect: the Aymara and the Quechua. Walking down one of its bustling market streets, one would see both typical Aymara and Quechua dress. Usually, the hats and skirts worn by the local indigenous women will indicate whether they are Aymara or Quechua. In August 2014, I had the opportunity to travel to Oruro from Cochabamba on a 5-hour drive done by a hired driver. Make sure to leave early in the morning and enjoy the scenic route from Cochabamba to Oruro. The route winds quite a bit and will reach altitudes above 15,000 feet.